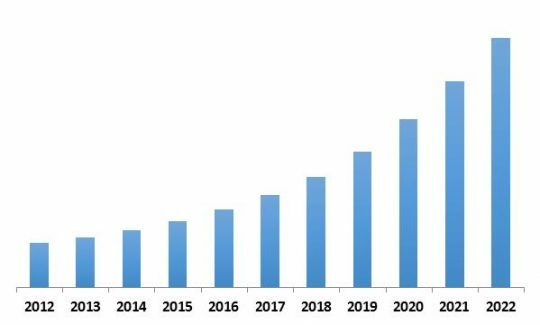 According to a new report Global Mobile Business Process Management Market, the market is expected to attain a market size of $3.7 billion by 2022, growing at a CAGR of 21.5% during the forecast period. The growth is mainly attributed to the growth in mobile technology that has allowed professionals to connect to the company's internal matrix and access data and resources without being tied to a single location across different industry verticals. Other factors influencing the growth of this market include need for business agility and compliance issues. The large enterprise segment contributed the largest share of around 76% in the mobile BPM market during the forecast period. Moreover, as a result of increasing mobile technology trends in enterprises, the small enterprise mobile BPM market is anticipated to grow at a high CAGR in the next five years. 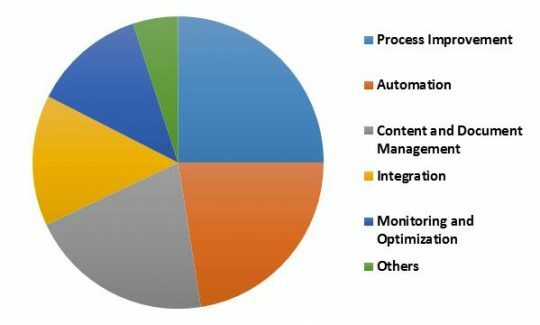 In 2015, Process Improvement type dominated the global Mobile Business Process Management market by solution type with market share of around 28%. Monitoring & optimization on the other hand is expected to register a highest CAGR of 24.1% during the forecast period (2016-2022). Sales & marketing segment dominated the global Mobile Business Process Management market by function type. The segment generated revenue of $282.2 M in 2015. However, customer relationship management segment on the other hand is expected to register a highest CAGR of during the forecast period (2016-2022). 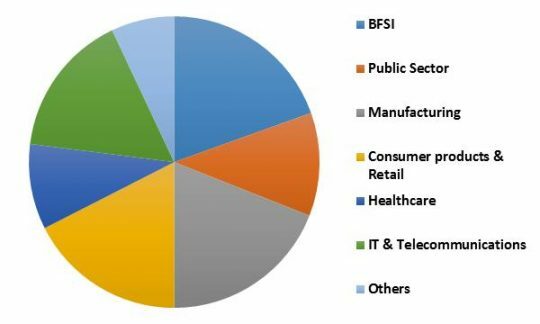 Among all verticals, the BFSI sector contributed the largest share of around 21% in the mobile BPM market, followed by consumer & retails segment. 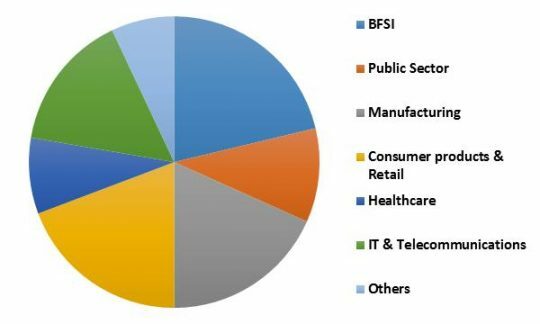 Healthcare segment is expected to witness the highest CAGR from 2016 to 2022. The North America region contributed the largest revenue share to the market worldwide due to early adoption of technology, followed by Europe region. The Asia-Pacific region is seeking promising potential and would grow at a fastest CAGR of 26.6% during 2016-2022. In North America, U.S continues its dominance in this market with a market size of $246.0 million, in 2015. Mexico however, would witness maximum CAGR of 24.4% during the forecast period. The report has exhaustive quantitative insights providing a clear picture of the market potential in various segments across the globe with country wise analysis in each discussed region. The key influencing factors of the global Mobile Business Process Management market have been discussed in the report along with the elaborated company profiles namely IBM Corporation, Microsoft Corporation, HP Enterprise Company, FireEye, Inc., Logrhythm, Inc., Alien Vault, Inc., Oracle Corporation, Fujitsu Limited and Open Text Corporation.